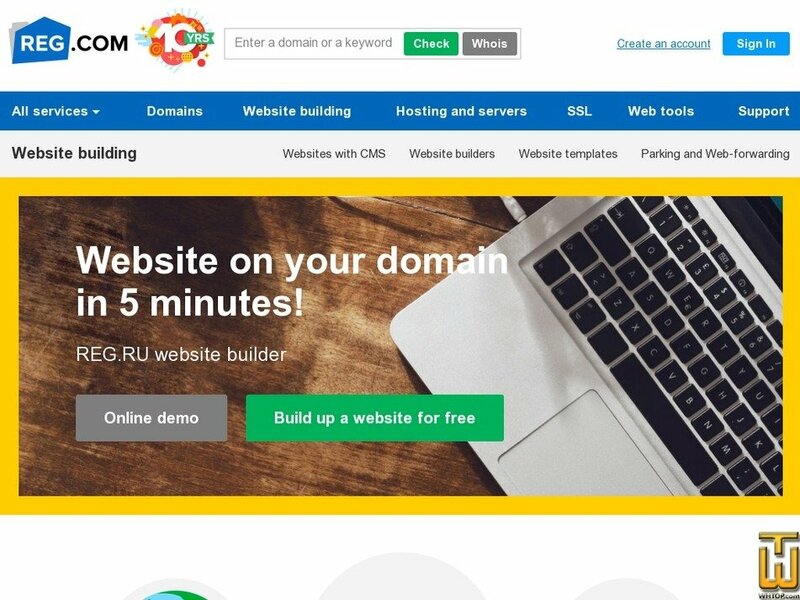 REG.RU website builder is a modern, actively developing tool for both regular users and professionals. The drag&drop technology allows easy changing page content: dragging objects, adding new modules, changing text, etc. The service can be activated for both a new and an existing domain. More than 170 templates can be used for website creation, and by adding relevant information you can get a ready website in a few minutes. storage of website backup copies for 30 days. Building a website is easy now! You don’t have to involve any technical experts any more. Just choose a ready design and fill a website with your information. It’s the same as in a usual text editor! You can focus on your business rather than website creation. A huge number of templates allows choosing both a subject-based and a universal solution. Adaptive coding automatically changes website layout depending on a user device: a mobile phone, a tablet or a large-screen desk-top computer display. More than 20 various components contribute to creation of a well-thought website with advanced functionality: photo gallery, feedback form, video, maps, social media, etc. You can create several language versions of your website, set up the template in detail, specify search parameters — you are limited only by your fantasy!